Mobile apps are the in-thing in the software development industry. With an app it becomes easier to target mobile users and increase the chance of converting a lead to a sale. A study by Pew Internet Research shows that over 64% of Americans own a Smartphone which makes mobile app development even more important. Whether you are a business owner or mobile app developer you appreciate the fast changing nature of the software development industry. As such it is important to stay abreast with such changes in order to leverage new information in your operations. According to IDC Apple controls only 13.7% of the apps market with Google’s Android hogging over 82.8%. Windows lags behind at only 2.6% but with the success of Windows 8 among other company changes you can expect it to fight harder in 2016. Apple and Android’s war is expected to get nastier in 2016 but this is good news for mobile app developers. A study by IAB shows that 58% of the people interviewed watch a video every day. Developers will take advantage of such data to make it even easier for users to access quality video. Brands will be now be more interested in linking to video content with the IAB study projecting that over 70% of online content will be video by 2017. More focus will now be on user total experience. It is one thing to use an app to promote your brand but another to enhance user experience during the interaction with the app. More focus will be on features that will make the app more appealing and ensuring a seamless experience across all touch points. This has been a big concern and it is no wonder that Apple won big with the launch of the iOS 9 platform. Developers will have more assurance of app security with Google also already upgrading its Android 4.0 Marshmallow security protocols. With improved security users will also have a better time using the apps considering more sensitive information is transmitted when using banking apps among other apps that require personal details. When Apple Pay was launched there was so much hype about it but then again not everyone is on iOS. However, Samsung is developing its pay app and according to research over 50% of online transactions by 2017 will be done on mobile devices. 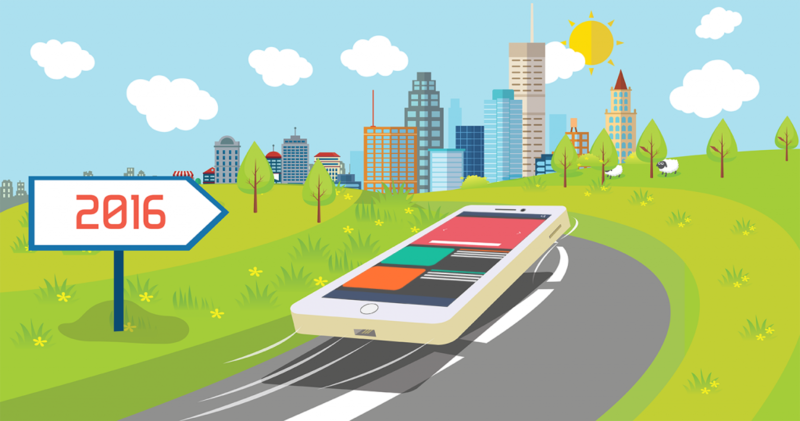 While it is still a much debated issue the fact remains that citizen mobile app development has largely helped the industry. Ordinary people might not have the skills required for app development but they team up with IT professionals to churn out mobile apps much faster. Intuit QuickBase in a study pointed out that the companies helping non-programmers develop apps include WaveMaker, PowerApps, Mendix, Telerik among others. They also pointed that the trend is one to watch as more companies join the fray. you’re making a number of top factors here. I have struggled in locating my target audience due to the fact I forget the sort of huge internet with The marvel of Tech. I need to help people find out about tech that may help them in their daily lives. That might be all and sundry from a teenager to a grandmother, a primary-time telephone consumer to an app developer. absolutely everyone who can read my articles is the usage of a few form of tech! As you suggested here, and show us in every weblog post you write. you use a conversational style and inspire us to do that too. You truly set the bar for the way to write to interact your readers, and i have attempted to do that with my site. To avoid perplexing readers, I try to write inside the only language, averting tech phrases and the use of simple English. adding the conversational style without a doubt helps readers feel as though they’re paying attention to me communicate rather than analyzing words from a stranger. nice information you have share.. IN MODERn world mobile applications development are needs of everyone. Great post. It is very useful to me. I had been searching for the same information and luckily I found it here. So, thanks for sharing the information. Good post.I really appreciate to your post. I agree with you all the trends given above are among top trends in mobile app development. I think user experience will be at top priority in upcoming time. hii. you are sharing a nice information. Now there mobile application development trends so arises and helpful in our business also. Thanks for an insightful post about mobile application development trends in 2016. These tips are really helpful. Mobile application improvement is the arrangement of procedures and strategies included in composing programming for little, remote processing gadgets, for example, cell phones or tablets. I am an iOS app developer and I have developed more than 50 apps till today with the help of Native app development platforms. Very useful information in this article! its really useful. Meaningful article! Salon App Development has become vital for business owners to manage their businesses in their own way. In 2017, we are now diverging stage where we are moving from one traditional word to digital word. so we need to more focus on mobile app development because it can give more profit from our business app. So, now trends are changing in every stage of our life.